The Mission of the Tulane University Traumatology Institute (TTI) is to promote research, innovation, and interventions that help the traumatized thrive despite their challenges. To thrive requires resilience and resolve. Institute Programs focus on this mission. The current projects are described throughout the website. Each program addresses the question, how can we best help the traumatized understand how trauma works and how do we become more committed to building their resilience to current and future adversities? This questions is addressed by TTI colleagues world wide. Please visit Green Cross Academy is for all levels of providers for volunteer and educational oppurtunities. The Green Cross Academy of Traumatology, an international, humanitarian assistance, non-profit corporation, established in 1997 to bring together world leaders in the study of traumatology for the purpose of establishing and maintaining professionalism and high standards in the care of trauma victims and responders throughout the world. Ask an Expert about Trauma Informed Care!!!! 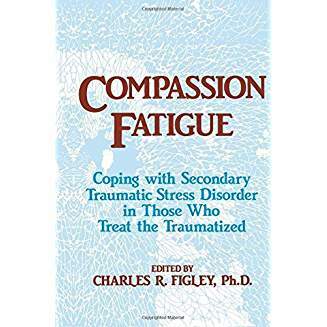 Dr. Charles Figley is here to answer your questions on trauma-informed care. Your question will be addressed during our short weekly podcasts. We are working to prevent vicarious trauma. We are working to create resources for providers treating those affected by trauma of natural disaster, domestic terrorism, and mass violence. If you interested in our Mentorship Network Program to support displaced survivors with trauma-informed care please contact us directly. The institution is providing educational resources and research for trauma informed care. For constant updates for Charles Figley's publications and downloads please visit these website google scholar, research gate, academia. RT @lys_phd: @charlesfigley A collective “Marker In Time” these temporal triggers matter! Deadline for Submission: September 9th, 2019. We provide research and create resources for treatment of torture survivors. Through our research we look to treat torture trauma holistically by identifying the most relevant axioms for treatment approaches. From this, we are creating best practice handbooks and textbooks to treat all levels providers, families, and patients. Our expert panel has been chosen for their expertise in treating torture related trauma. All experts have 10 years or more of experience in treating torture trauma and have been nominated for their experience by their peers.